What is a cash out? How do I cash out? A cash out is a withdrawal of funds. A cash out is a withdrawal of funds. After every shift, you receive an app notification or email presenting the option to Accept the money you’ve earned. The Accept Money button links to your Nowstapay account where you can see your events, number of hours worked, and earnings for each shift with the option to cash out. 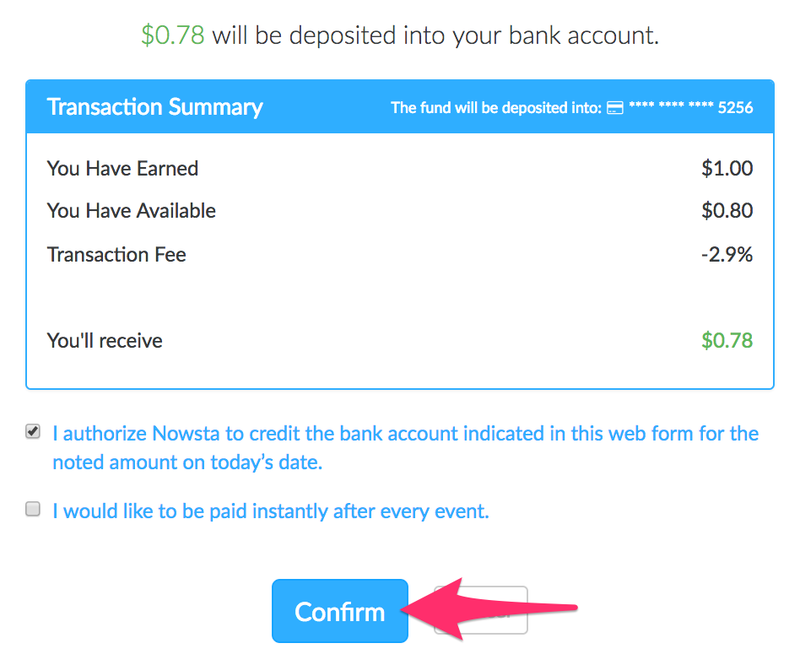 If you click the "Cash Out Now" button, you will see a summary of your available earnings and have the option to click the "Confirm" button to receive your funds.